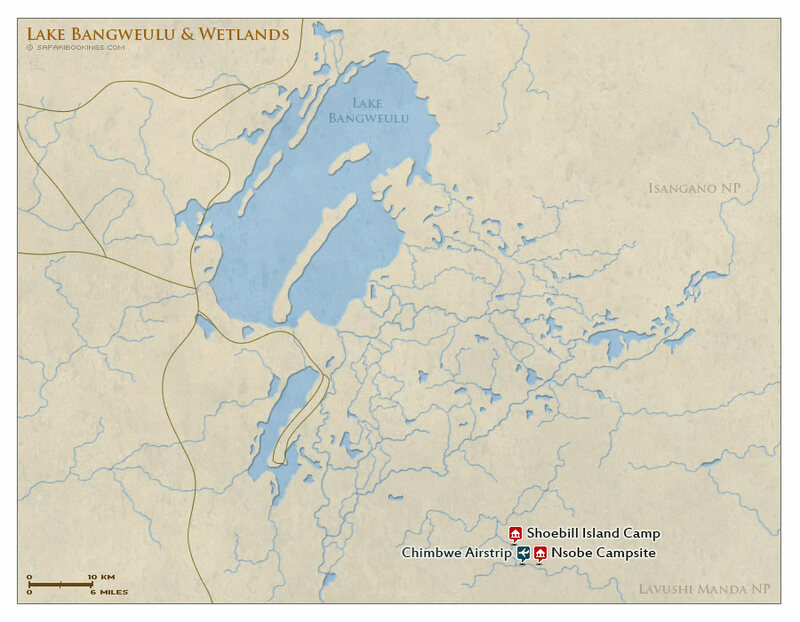 Bangweulu Wetlands – Travel Guide, Map & More! Bangweulu Wetlands is a unique wilderness destination. This massive wetland area is difficult to explore and very seasonal, but it is home to the very localized black lechwe. Thousands of these semi-aquatic antelope can be seen wading through the water. Aside from the lechwe, the park is mainly a birding destination with the rare, sought-after shoebill stork being the main attraction. The wetlands are also home to many small communities, who are benefitting from being involved in local conservation programs. Bangweulu is not a classic wildlife destination. The main attraction is its birdlife. There are, however, huge herds of the endemic black lechwe, and this is the only place to see these graceful, semi-aquatic antelope. Much harder to spot, but present as well, is the elusive sitatunga, another water-loving antelope. Two other unusual antelope – tsessebe and oribi – can usually be seen grazing on the floodplains. The wetlands are located in an area known as the Great Bangweulu Basin, a shallow depression fed by 17 rivers. The water level in the center varies between one and two meters, causing the floodline to move over 40km/25mi between the seasons. 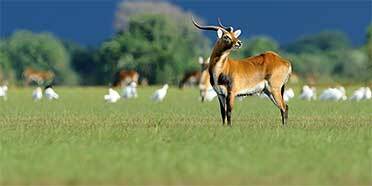 The area, subject to rising and retreating waters, is the wetland on which the black lechwe and other creatures depend. 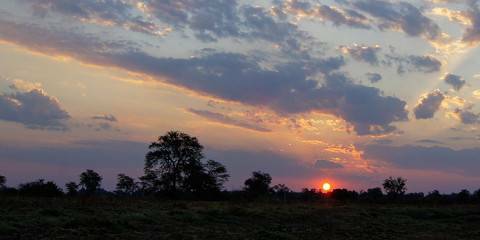 Bangweulu has a tropical climate that sees average daytime temperatures staying uniform throughout most of the year. The exception is the transition from Dry season (May to October) to Wet season (November to April), when temperatures go up by a couple of degrees. Rain and heat both diminish in the drier months. 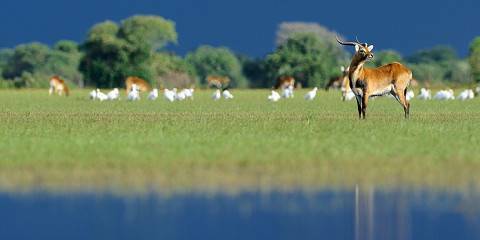 Early in the Dry season (May to October), when the water level goes down and there’s plenty of grass for herbivores, is the best time to explore Bangweulu. Animals such as storks and black lechwe are abundant, as are game drives and canoe trips. In the Wet season (November to April), you can forget about doing any driving, and the risk of malaria from mosquitoes is much greater. Want to Visit Bangweulu Wetlands?